Ah, life lessons from Boy Meets World! Those who know me know that I'll pretty much take any excuse to toss out a BMW quote, just for fun. But this one...well, this one truly is a great lesson isn't it? Life is tough. Things go wrong, our best laid plans fall apart. Jobs come and go. Tragedies happen. As a mother, the greatest tragedy that we could ever imagine is something happening to our child. It is something that I cannot even imagine going through...something I do not even WANT to imagine going through. How does a parent go through that and make it through? How do they face that tragedy and still see the light at the end of the tunnel? How do you go through something like that and keep the faith? Do you fear life's uncertainties? As a parent who lost his young daughter, Pastor Levi Lusko has been there. More a manifesto for high-octane living than a manual for grieving, Through the Eyes of a Lion will help you turn your journey into a "roar story." Whether you’re currently facing adversity or want to prepare yourself for inevitable hardship, it’s time to look at the adventure of your life through Jesus’ eyes—the eyes of a Lion. First and foremost, I must admit this was not an easy book to read. Again, as a mother, the idea of losing a child is almost unbearable, but that is just what the Luskos experienced when their daughter 5-year-old daughter Lenya left this world unexpectedly after an asthma attack days before Christmas. What should have been the most magical time of the year, turned into the most tragic. As I said, it was not an easy book to read. Many times, in the midst of the story I found myself having to put the book down and step away, wondering if I would be able to finish. But still, I read on...and I am glad that I did! This is not just a story of tragedy. This is a story of hope, of love and of living life. It is a story about facing those impossible moments. It is not a story that says it's easy, and that we should not mourn our losses. It is not sugar coated to make us feel better. It acknowledges that life is not easy, but it encourages us not to live in fear but to instead embrace life and face those fears head on. We may never experience the loss of a child, but we will face hardships. We will struggle in our marriages, in our jobs, with our families. We will face hard times, but through Christ we can get through. We can face our fears, and roar through like a lion. 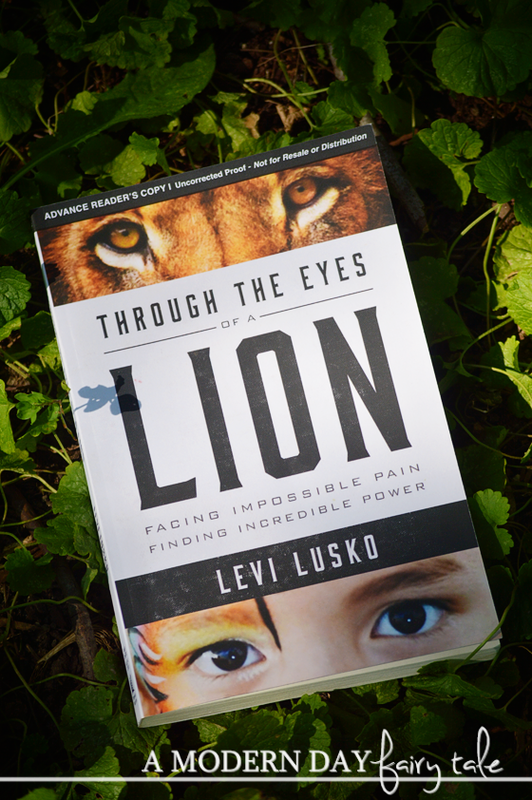 Through the Eyes of a Lion is available to purchase now at Family Christian. I think they have a great selection of videos - I have wanted to get Unbroken. I would love to get the "Ties That Bind: A 52-Week Devotional for Mothers and Daughters" for my daughter and me! I love their home decor pillows!! So super cute and so many great phrases! I'm going to get a journaling bible soon. I like their jewelry. I just ordered from them a couple weeks ago.